What extension tubes are recommended for K7. do we really need automatic ones where we have control over exposure. I can't seem to find any extension tubes for pentax on amazon. I want to use these for macro shots on my 50-135mm. I do see some cheap ones on ebay for $10 with no electrical contacts. Any ideas or recommendations. Some users use a cheap teleconverter and take out the optics! In this way you can create an extension tube with not only the stop down lever but also lens contacts so that autoexposure becomes possible. My experience is that one would use manual exposure for macro work so the stop down lever is the only feature I would look for. For tubes with no electrical contacts. What aperture will the camera be set to?. How do we determine this. What ever the lens is wideopen unless the lens has an aperture ring. So in other words no way to control aperture with SDM lenses or lenses that do not have aperture ring. I don't see a good enough reason to buy extensions rings that do not give aperture control. I believe Anything less then f8 for macro will be too shallow. You can use manual extension tubes (no electrical contacts) with manual focus lenses, even low cost enlarging lenses. 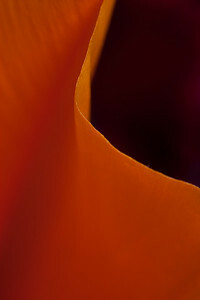 You focus by moving the camera closer or farther away from the subject when working with macro and manual. Here is an article that discusses how to use the manual focus macro equipment in case you are interested. Inexpensive Macro Photography. Below is an example of an image that can be captured from this older gear. Last edited by stover98074; 09-05-2010 at 10:17 PM. They are indeed very dificult to find. I think they have been discontinued by Kenko in Pentax mount. This is an ebay store of a shop in Poland. They ship worldwide and are trustworthy AFAIK. These transfer aperture info and allow to set aperture from the body, no AF though. The only other option is to try find used ones (that's what I did). If you get a six contacts version with black anodized bayonnet (male end), make sure you scratch the surface of bayonnet to short the seventh contact on camera body. Without this they won't work properly. If you want, I can later post pictures of mine to explain better what I mean.